Many moving companies or people who move often will disagree and perhaps agree! 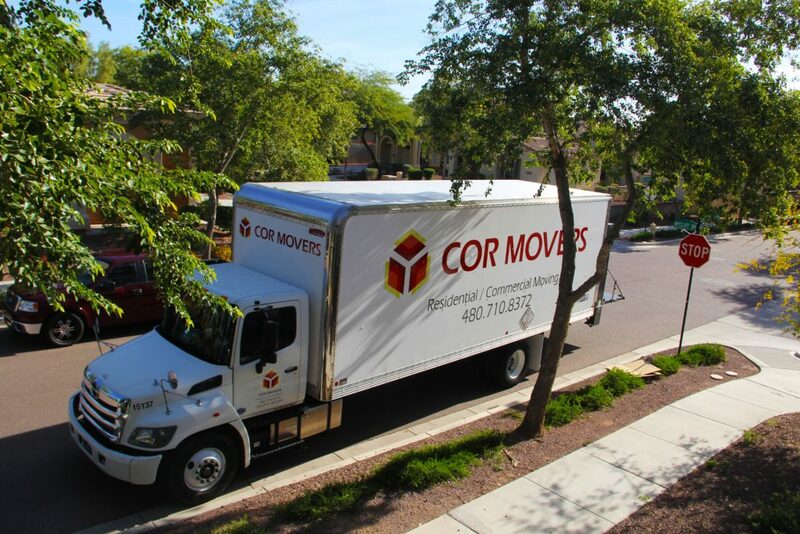 But in this article we will share with you how Cor Movers pack their trucks. Are you in Arizona? Hire us! At least one month before the move, go ahead and reserve a truck rental for your moving date. From smaller cargo vans to larger 26 ft. trucks, most truck rental companies offer a plethora of shapes and sizes to choose from. Whatever you do though, try to avoid choosing a truck that is too small for your belongings. While a smaller truck may be cheaper to rent, it will only end up costing you extra time and money in the long run. For instance, if a truck is too small to hold your belongings, you’ll be forced to make multiple trips back and forth. To ensure that you choose the right size truck rental for your next move, read the truck rental company’s size guidelines carefully. When in doubt, call a truck rental representative for details on sizing. For more advice give us a call or send us an email! Prior to packing a moving truck, be sure to gather all necessary packing supplies. This includes sturdy boxes, plastic wrap, packing tape, a dolly, furniture pads and moving blankets. Since your belongings may shift while in transit, it’s especially important that all items are packed with proper protection. This may mean adding moving blankets and padding to fill in the gaps between your boxes and belongings. Other important packing supplies to have on-hand include a mattress bag to cover your mattress and moving straps for holding items in place. Planning to pack and load a moving truck by yourself? Our advice: don’t! Before moving, ask friends and family for help with the loading and unloading process. It’s never a good idea to lift and carry heavy furniture, boxes and other items by yourself. Not only could you potentially injure yourself, but you could also end up with a move that takes forever. Having friends and family to help will dramatically speed up the moving process. This could ultimately save you money as well, since your truck rental time will be considerably shorter. If you choose to hire movers, we always recommend finding local movers. They have the best rates, but make sure you can trust them! Read this article for more information about how to choose the right local movers. But now if you are in Phoenix, AZ you know who to contact! 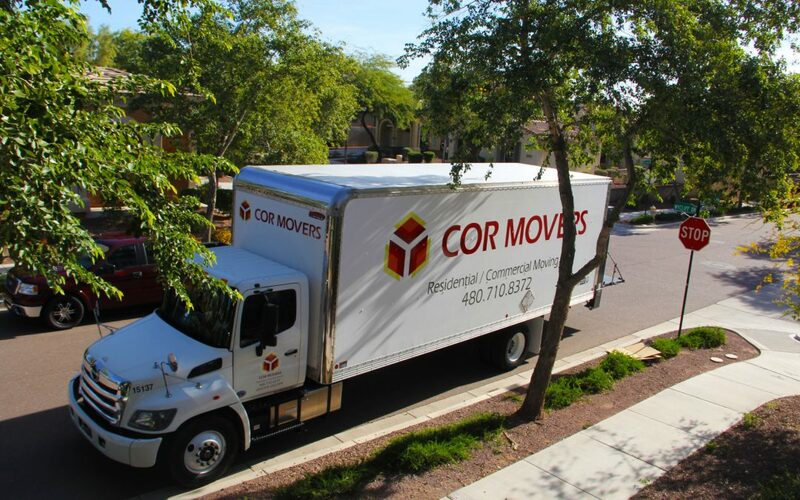 Cor Movers give you the best rates in the state and in Phoenix. We will match our competition and do it much faster with care, quality and trust! Furniture items take up quite a bit of space on a truck. To save room, make sure to disassemble and take apart all furniture items. This should help maximize your space in the truck, as well as distribute the weight of heavy furniture more evenly. To start, you can disassemble dining tables by taking off the legs. This will allow you to store the dining table and its legs in an upright position on the truck. Next, disassemble all bed frames and headboards, as well as desks and dressers. If you’re unable to disassemble large furniture, try storing moving boxes and other items inside drawers or on top of the furniture to avoid crushing smaller objects. Download our moving hacks right now so you can use them for any move. Ready to begin loading the moving truck? Start with the largest and heaviest items first. This will include any mattresses, bed frames, tables, chairs, refrigerators, washer/dryers, couches, sectionals and coffee tables you plan to move. Given the weight and size of these items, they should be on the bottom of your moving truck, so as not to crush and damage your other boxes and belongings. Be sure to also place heavier items towards the front of the truck (near the cab where the driver sits). Place your longer items against the wails of the truck to save space and keep them more secure. Long items include: table tops, mattresses, long mirrors, and headboards. Tie these items to the walls to ensure double the security. Choose boxes of similar size to easily stack on top of each other. The heaviest should go at the bottom and the lightest on the top. Make sure that they are labeled to make unpacking easy and of course finding items in case you forget something important and you need to retrieve it! 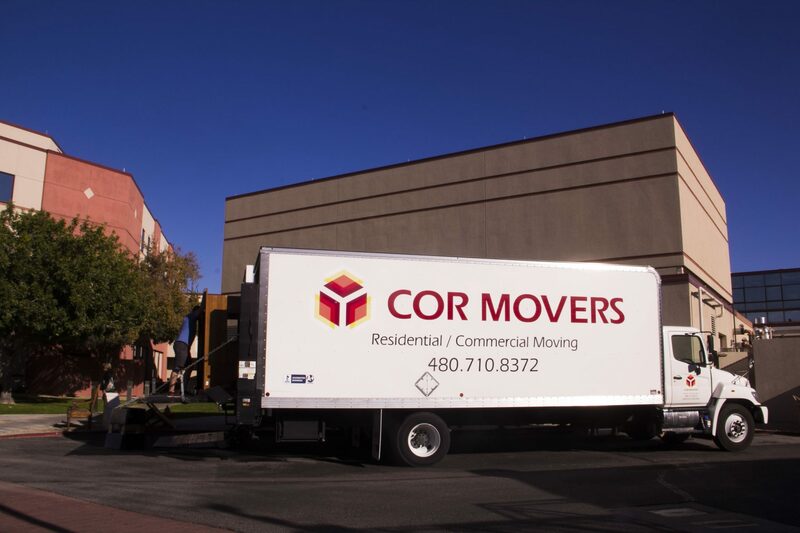 How long has Cor Movers been in business?